We decided to do a little digging and look at the top sellers of the past. The "Top Sellers" on the front page lists the top 12 sellers in the past 30 days that are in stock, but what about years past? Well let's take a look! As you can see from here, Meiki no Syoumei 05 Zhang Xiao Yu masturbator has dominated the scenes for a long long time. It's our best reviewed product as well as our overall best selling product. Props to NPG for creating such a great product! Hopefully we will see another Zhang Xiao Yu soon! The next best seller goes to Magic Eyes' La Bocca Della Verita oral masturabtor. As soon as it launched on ToyDemon, it has sold consistently as the #2 seller on ToyDemon year in and year out, even beating out Meiki no Syoumei 05 in 2015!!! Magic Eyes has consistently creating great products and has lot of their products on our top sellers list. Rounding out the Top 3, is the Julia+ masturbator from EXE. Other than 2015, Julia has placed #3 in all the other years. Needless to say, Julia+ will probably be staying on the top 5 for many years to come! 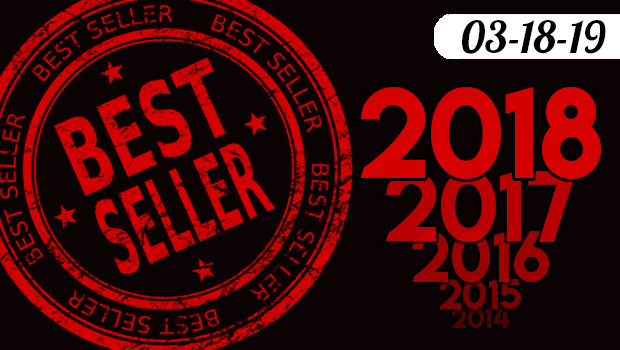 So what do you think of the top selling masturbators of the years past? Have you bought the top 3 that we talked about? Do you agree with the list? We would love to know what you think.